Piero Ausilio shrugged off rumours linking former Manchester United boss Jose Mourinho with a return to Inter as he insisted the Serie A side are "very happy" with Luciano Spalletti. Mourinho's two-and-a-half year tenure came to an end on Tuesday after the embattled manager was sacked by United, who fell 19 points off the pace following their 3-1 defeat to Premier League leaders Liverpool on Sunday. 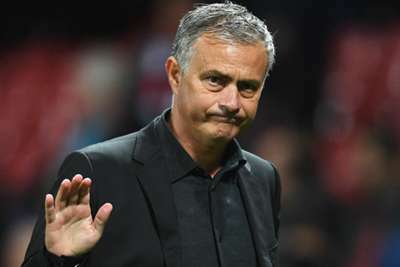 Speculation of a return to Inter, where Mourinho is still a revered figure after guiding the Nerazzurri to the treble of Scudetto, Champions League and Coppa Italia in 2010, has emerged since the 55-year-old's departure from Manchester. However, Inter director Ausilio said his club have no plans to replace head coach Spalletti with Mourinho. "I was surprised because we are talking about a great manager," Ausilio said. "Unfortunately we all need to deliver results in football. I cannot know what the motivations are behind Man United's decision. "I have a great opinion of Mourinho as a manager but for how it concerns Inter's future we are very happy with our manager. "We are building our future together with him and we want to continue together." Inter – who have not claimed the Scudetto since Mourinho's treble-winning campaign – are third this season and 14 points behind leaders Juventus.